Reliance Jio has been the only mobile operator which has been in the talking for a long time now because of its free unlimited data and calls offers at the launch of the network. Now that Reliance Jio has started to charge for its plans, the company is again into the limelight due to its exciting offers in tariff plans like the Summer surprise offers which had unlimited data and voice calls at Rs. 303. This plans were limited to those who had subscribed to Jio Prime by paying the one-time subscription fee of Rs. 99. But Reliance Jio has been working on plans for those who have been left out of time for subscription to Prime offers. 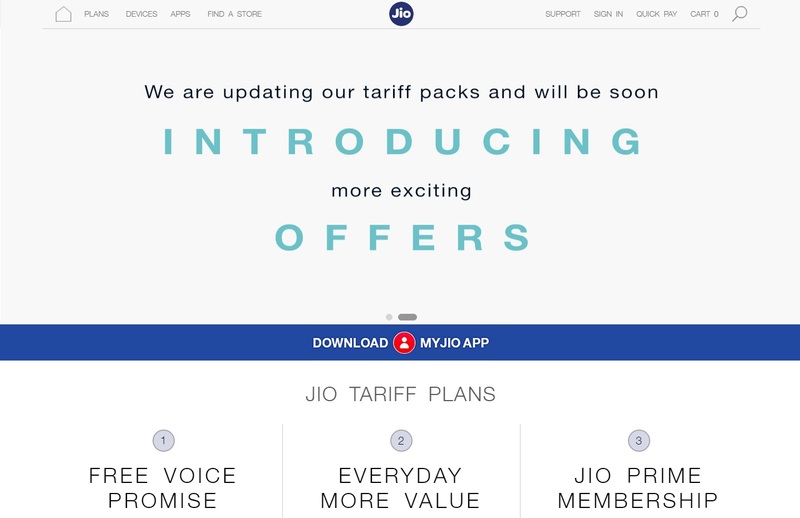 Reliance Jio has launched Dhan Dhana Dhan offer for the customers who have been either left out from subscribing to tariff plans but have enrolled in Jio Prime or those who have not enrolled in Prime. Reliance Jio has divided the Jio Dhan Dhana Dhan offer into two parts, you have an option to go for either 1GB per day plan or 2GB per day plan, similar to the Summer Surprise plans. The 1GB plan starts at Rs. 309. It offers 84 days validity. You get 1GB high speed 4G data per day, after which you can continue to use internet at 128 Kbps speeds. This pack also comes with the same unlimited calls facility. If you are an existing Jio Prime customer, this plan will cost you Rs. 309. Existing customers who have not subscribed to Jio Prime will have to pay Rs. 349 for the same period. New customers will have to subscribe to Jio Prime as well as this plan to enjoy the benefits. In total, it will cost new customers Rs. 408. For the 2GB plans starting at Rs. 509, It also offers 84 days validity. You get 2GB high speed 4G data per day, after which you can continue to use internet at 128 Kbps speeds. This pack also comes with the same unlimited calls facility. For the Non-Prime customers, they will have to subscribe to Jio Prime as well as this plan to enjoy the benefits. In total, it will cost new customers Rs. 608. This plans from Reliance Jio have been due to the TRAI (Telecom Regulator Authority of India) requesting the operator to cancel its summer surprise plan which offered same plans as above with 1 month extra validity.